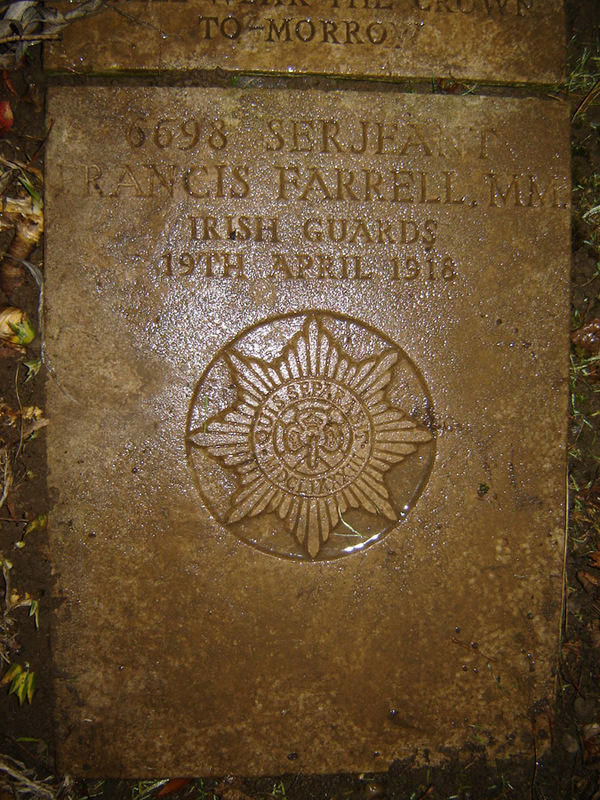 Francis was born c.1887 Gortlettragh, Co. Leitrim. At the time of his enlistment, he was living in Gobadorish. in He was awarded the Military Medal for bravery in 1916, as published in the London Gazette Supplement on the 9 December 1916. Son of Patrick and Kate Farrell, of Gubadorish.